HONG KONG — Apple's chief executive said Wednesday he's optimistic some apps that fell afoul of China's tight internet laws will eventually be restored after being removed earlier this year. 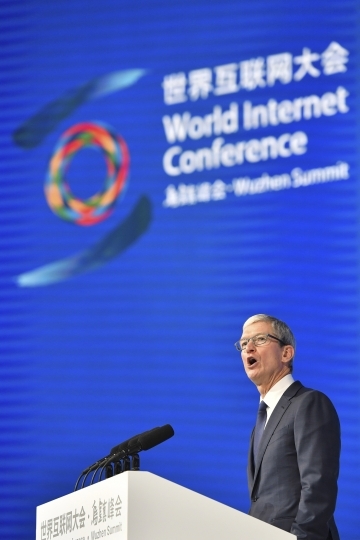 Speaking at a business forum in southern China, CEO Tim Cook also dismissed criticism of his appearance days earlier at an internet conference promoting Beijing's vison of a censored internet. 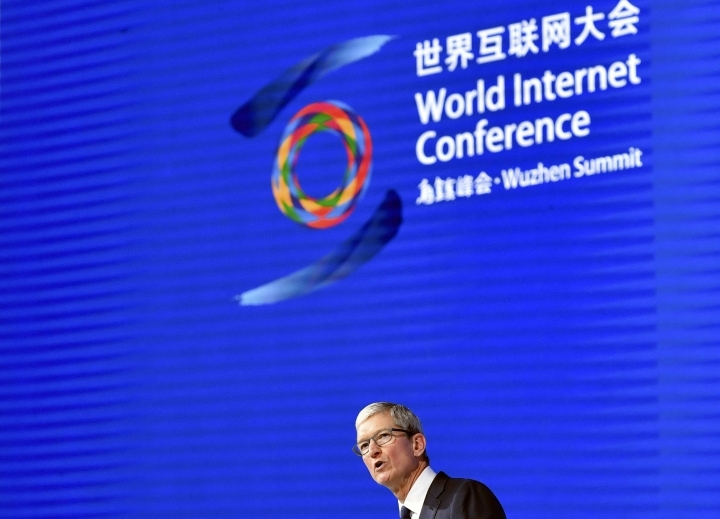 Cook's high-profile appearance Sunday at the government-organized World Internet Conference drew comments from activists and U.S. politicians who say Apple should do more to push back against Chinese internet restrictions. He said he believed strongly in freedoms but also thought that foreign companies need to play by local rules where they operate. When asked about Chinese government policies requiring removal of apps, including ones from operators of virtual private networks that can get around the country's internet filters, he said, "My hope over time is that some of these things, the couple things that have been pulled, come back." "I have great hope on that and great optimism," he added. Cook said he didn't care about being criticized for working with China, because he believes change is more likely when companies participate rather than opting to "stand on the sideline and yell at how things should be."